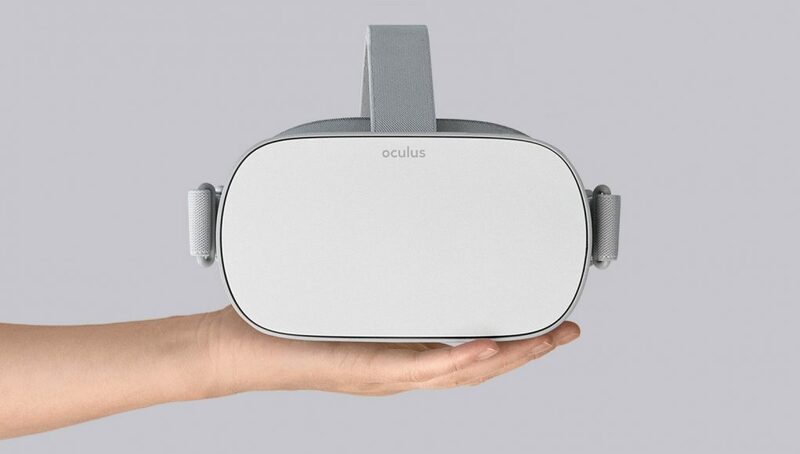 Oculus Go, the upcoming standalone VR headset from the makers of Rift, is now arriving to developers looking to get a jump start on creating apps for what promises to be an affordable VR solution at just $200. First reported by VRScout, the developer who sent in the photos can’t share any hardware specifications as such, but has taken a number of photos. 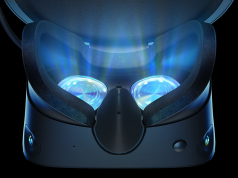 It appears the dev kit has reconfirmed the existence of fresnel lenses, a departure from its mobile VR forbear Gear VR which had standard refractive lenses. 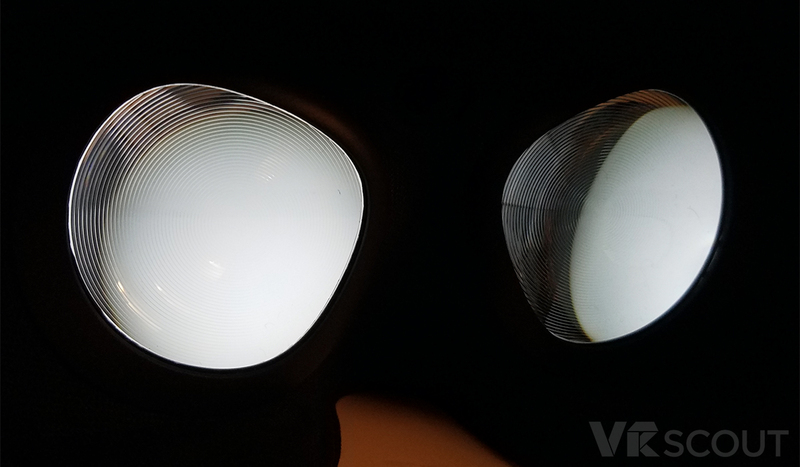 From the photo, the lenses appear to have much more noticeable ‘ridge’ than Rift. The company has said these are their “best lenses yet,” although it’s uncertain what makes them so special at this point. 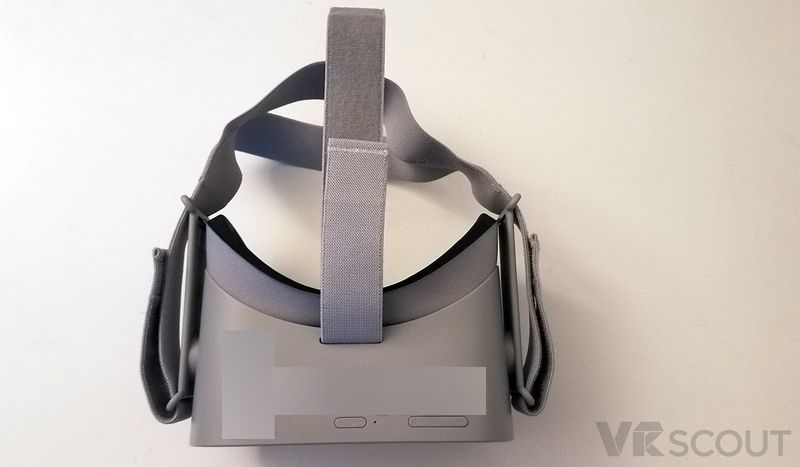 Interestingly enough, the developer who spoke with VRScout redacted a large bit on the top of the headset. The promotional photos show it to be entirely clean, so it’s possible the space was used to display identifying information on who the headset belongs to. Lastly, the facial interface appears to be a fair bit more comfortable in comparison to Rift, a welcome change for many. We’re hoping the thick padding is as squishy as it looks. Applications for Oculus Go dev kits first opened up back in October. The portal to make requests for Go dev kits appears to still be open, although it’s uncertain if the company is still entertaining applications. Oculus Go is slated for an early 2018 release, starting at just $200. 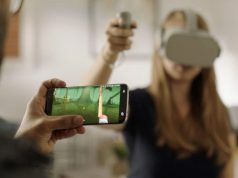 Considering it aims to meet or beat Gear VR’s technical abilities at a fraction of the price of a Samsung flagship phone and the separate headset, the all-in price of $200 looks to usher in a new age of high-quality, low price mobile VR with Oculus at the helm. I have the Rift, 2 MR headsets (Samsung Odyssey, and Lenovo), the Google Daydream, and I am purchasing the Go DAY ONE! Good time to be alive !!! out of curiosity what made you decide to get the two windows headsets? I have the vive, rift and now psvr (thinking about returning this one) with the purchases being driven by access to content. interesting. Which of the two would you recommend, the Odyssey or the Lenovo? Damm! Would have been a GREAT Xmas gift. 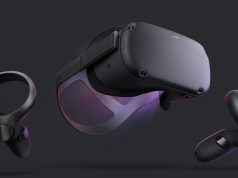 Looks like Oculus learned their lessons from the initial Rift launch. Warehouses be full, before taking pre-orders. You have no idea how lovely this will be for watching videos on a large screen. It will be meh for gaming when you compare it to Rift, but I am excited as heck to get my hands on it for that alone. Why do you say GearVR is useless? 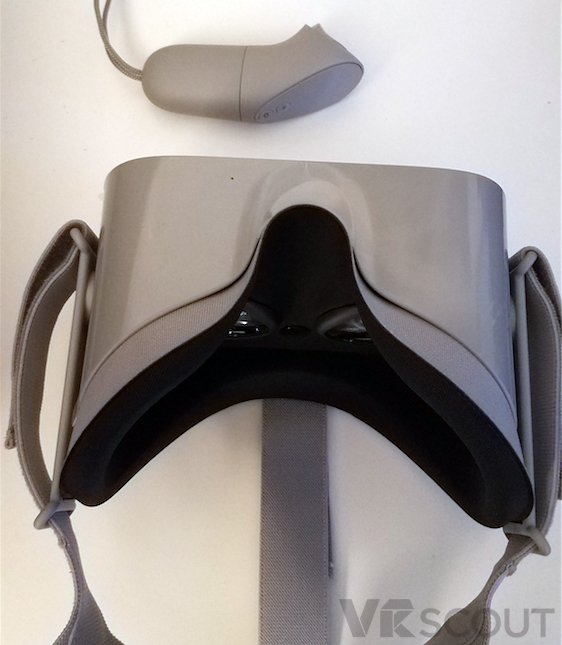 6DoF Headset – highly desirable but may not be economically possible at present in standalone HMD without external tracking device like Nolo basestation. The Gear VR isn’t useless. It’s the gateway drug of VR. It is often the first VR experience people have, and the first one that is affordable. The Go will solve the problem of ease of use… don’t have to plug a phone it, take it out for updates, can pick up where you left off, etc… Comparing it to premium headsets, it’s no where near the same level of experience. It’s like PC Gaming. Many people like to game, not many are willing to go pay $2000 to have the premium experience. Console for $300 that plays all the major AAA games? That’s more reasonable. It doesn’t matter how much better the PC is, how many more things you can use it for. It’s out of most peoples price range, and more complicated than most people can handle. Just my opinion. Mobile VR is an important part of the VR industry, especially in helping wide-adoption of VR as a content consumption platform. Good Content/Low Friction/Affordable Price – this is the mass market. ‘GO’ seems like a smart move as the high end is niche, despite what we (enthusiast) may think? Agreed, it’s also worth mentioning that champions of gaming once used (and some still do) the term ‘casual gamer’ as an insult for the largest – and most profitable – segment of the gaming market. I see no difference here, where tech enthusiasts are boldly stating that the ONLY option is to make even the low-end tech meet their lofty requirements. The reality is that if the tech isn’t meeting your expectations (bar that which sits in the highest-end of the spectrum), it’s probably not targeting you in it’s demographic. Oculus PLEASE release that facial interface for Rift. Will this one have 6dof? I’m waiting for a computer-less, non-tethered VR headset with 6dof. No that’s their project ‘Santa Cruz’, which will likely come later in 2018. That definitely won’t be available for $200 though. Santa Cruz will most likely ship late 2018 (holiday). Price wont be 2 grand, they want to sell them, not let them collect dust on shelves. I would guess for around 600 bucks. I will buy one on day one. I can’t wait to cut the cord for good. I’m going on the latest info (I think) from OC4. Will it be wrong? Probably, but that’s all we have to go on right now. On price, it’s definitely going to be the most expensive thus far, but I can’t see them going above $1000 else they’ll struggle to shift units, even to the core fans. Yeah, that makes sense, RE the price. Compared to the PSVR he Oculus headset really is ugly(still looks like a cheap work in progress) and not particularly comfortable.. I recently tried the PSVR, and it was plasticy and sweaty and way less comfortable for me than was the Rift Cv1 with a VR Cover insert. I so want to buy this. Here’s hoping it becomes available in Greece at a comparable price.